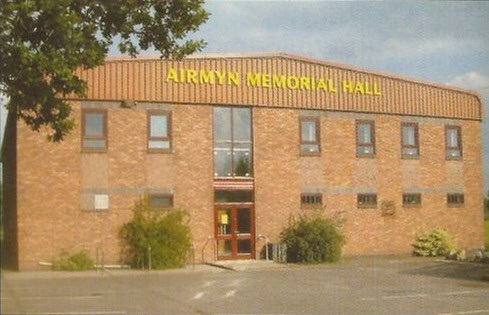 Airmyn Village Hall is a community hall in the village of Airmyn, near Goole. It is a registered charity run by the Village Hall Committee. The Village Hall and Playing Field can be found at the end of Woodland Way, Airmyn. It is situated close to the heart of the village and is available for the use of Airmyn residents and those from surrounding areas. There are a number of regular activities at the Hall and it can also be hired for special events such as weddings, parties and sporting activities. Throughout the year there are a number of organised events, details of which can be found on this website. The Hall, which is a charity organisation, is run by a Committee of volunteers who give up their spare time to ensure that the Hall keeps running and continues to provide a central focus for the Airmyn community to join together for activities and events. Without the Committee the Hall would cease to function. We are constantly looking for new volunteers to join the Committee. Being a member means you can contribute your ideas for events and fund-raising, help out occasionally at events, maybe behind the bar or setting-up, and attend monthly Committee meetings, when possible, where we discuss the ongoing management of the Hall. If you feel you can contribute in any way then please get in touch and join the Committee as you would be very welcome.